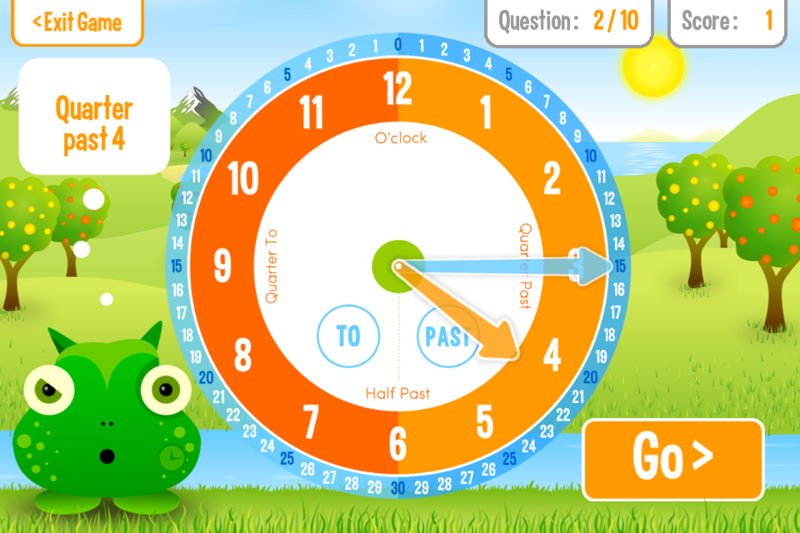 The Squeebles are back and want to help your children learn how to tell the time. Help Raino defeat the nasty Time Troll and bring all the Squeebles back together. 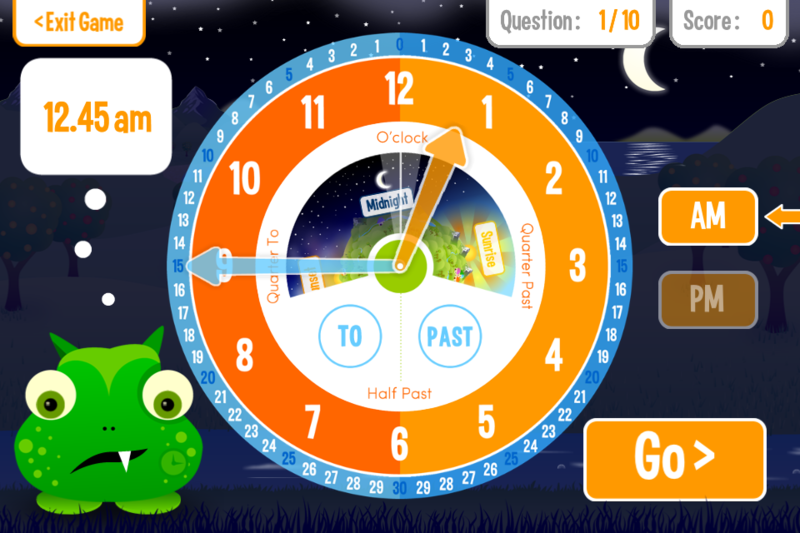 With multiple game modes, full interactive audio lessons on telling the time, a fun mini game and lots of things to collect, this app is a fantastic way to learn how to tell the time. Set the Clock: drag the hands of the clock to match the time that the Time Troll is thinking of. Tell the Time: look at the clock and set the scroll wheel to the correct time. 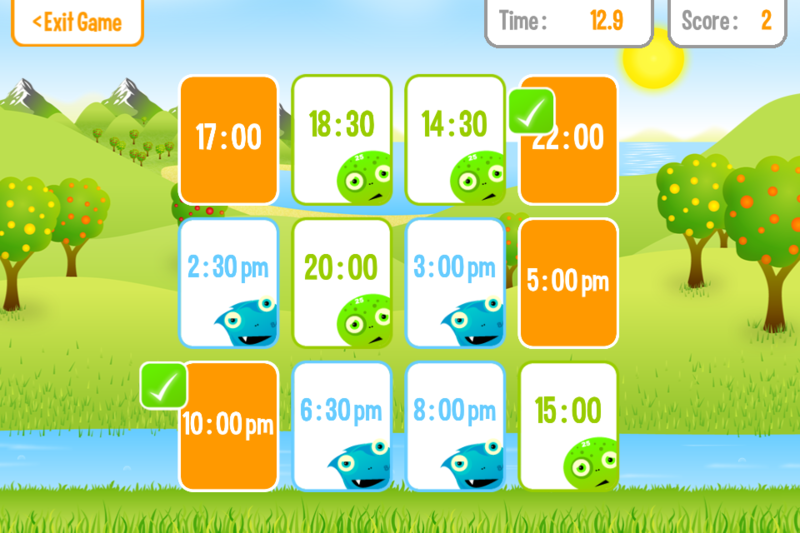 Matching Times: match digital times to clock faces to reveal a picture (this picture can be set to come from your photo library to make this even more fun for your children). 24 Hour Pairs: match 24 hour times with their 12 hour am/pm equivalents. Interactive Audio Lessons: with animation that teaches children how to tell the time on a traditional clock face, as well as how to read a digital clock. 12 hour and AM / PM modes. The time can be displayed as words (20 past 5 in the morning) or as digital time (05:20). Fully customisable wording so your child is shown the time in the way you want them to see it (past / to or after / 'til for example). In one of the games you uncover a picture by answering clock-based questions. You can set this picture to be a set of Squeebles pictures or a series of photos from your device's photo library. A password protected parent / teacher zone features full stats on each game mode for each child as well as access to various settings to personalise the app (see above). The "Sky Dash" mini game is a great reward for all your children's hard work. They earn turns on this and stars by doing well in the various time-based games and completing lessons. 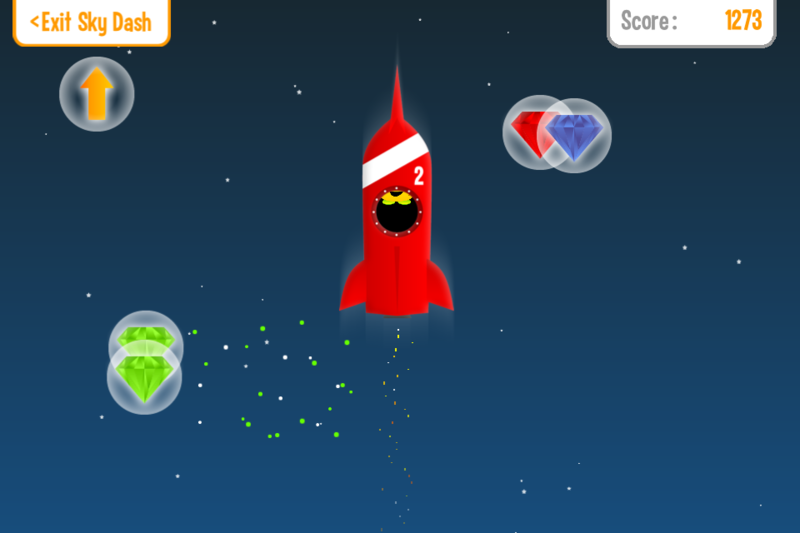 Stars can be traded for new and exciting rockets to use in the Sky Dash mini game. There are 24 Squeebles to collect, including 3 brand new characters. The best-selling Squeebles series of apps have reached number 1 in the Apple education charts and have been featured by national newspapers and magazines including the Telegraph, the Guardian, PC Adviser and more. Most importantly, children all over the world use and enjoy them every day both in school and at home and their feedback is overwhelmingly positive.